Is TransCanada Corporation (NYSE:TRP) an attractive investment today? Money managers are taking an optimistic view. The number of bullish hedge fund bets inched up by 1 lately. 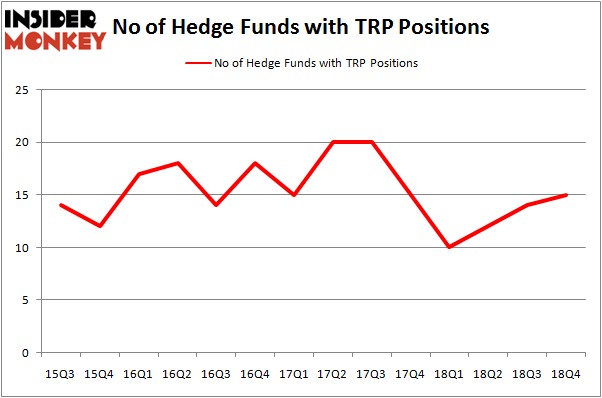 Our calculations also showed that TRP isn’t among the 30 most popular stocks among hedge funds. Let’s take a look at the fresh hedge fund action surrounding TransCanada Corporation (NYSE:TRP). What does the smart money think about TransCanada Corporation (NYSE:TRP)? Heading into the first quarter of 2019, a total of 15 of the hedge funds tracked by Insider Monkey held long positions in this stock, a change of 7% from the second quarter of 2018. Below, you can check out the change in hedge fund sentiment towards TRP over the last 14 quarters. So, let’s examine which hedge funds were among the top holders of the stock and which hedge funds were making big moves. Among these funds, D E Shaw held the most valuable stake in TransCanada Corporation (NYSE:TRP), which was worth $65 million at the end of the third quarter. On the second spot was Citadel Investment Group which amassed $61.5 million worth of shares. 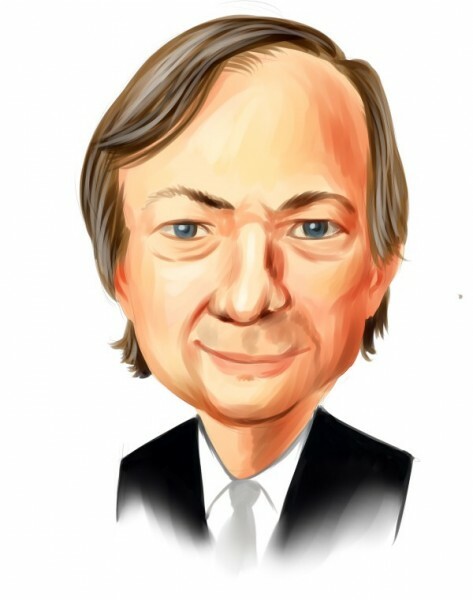 Moreover, Magnetar Capital, SIR Capital Management, and Bridgewater Associates were also bullish on TransCanada Corporation (NYSE:TRP), allocating a large percentage of their portfolios to this stock. As aggregate interest increased, key money managers have been driving this bullishness. SIR Capital Management, managed by Vince Maddi and Shawn Brennan, created the largest position in TransCanada Corporation (NYSE:TRP). SIR Capital Management had $15.9 million invested in the company at the end of the quarter. Till Bechtolsheimer’s Arosa Capital Management also made a $1.8 million investment in the stock during the quarter. The other funds with new positions in the stock are Matthew Tewksbury’s Stevens Capital Management, Michael Platt and William Reeves’s BlueCrest Capital Mgmt., and Michael Gelband’s ExodusPoint Capital. Let’s now review hedge fund activity in other stocks – not necessarily in the same industry as TransCanada Corporation (NYSE:TRP) but similarly valued. These stocks are SYSCO Corporation (NYSE:SYY), Nokia Corporation (NYSE:NOK), Barclays PLC (NYSE:BCS), and Edwards Lifesciences Corporation (NYSE:EW). This group of stocks’ market values are closest to TRP’s market value. As you can see these stocks had an average of 23.5 hedge funds with bullish positions and the average amount invested in these stocks was $980 million. That figure was $219 million in TRP’s case. SYSCO Corporation (NYSE:SYY) is the most popular stock in this table. On the other hand Barclays PLC (NYSE:BCS) is the least popular one with only 10 bullish hedge fund positions. TransCanada Corporation (NYSE:TRP) is not the least popular stock in this group but hedge fund interest is still below average. Our calculations showed that top 15 most popular stocks among hedge funds returned 19.7% through March 15th and outperformed the S&P 500 ETF (SPY) by 6.6 percentage points. Hedge funds were also right about betting on TRP as the stock returned 26.5% and outperformed the market as well. Were Hedge Funds Right About Souring On Canon Inc. (NYSE:CAJ)? Here is What Hedge Funds Think About BT Group plc (BT) Hedge Funds Dropped The Ball On Fortive Corporation (FTV) Were Hedge Funds Right About Flocking Into Sempra Energy (SRE)? Here is What Hedge Funds Think About AutoZone Inc. (AZO) Is IQVIA Holdings, Inc. (IQV) A Good Stock To Buy?